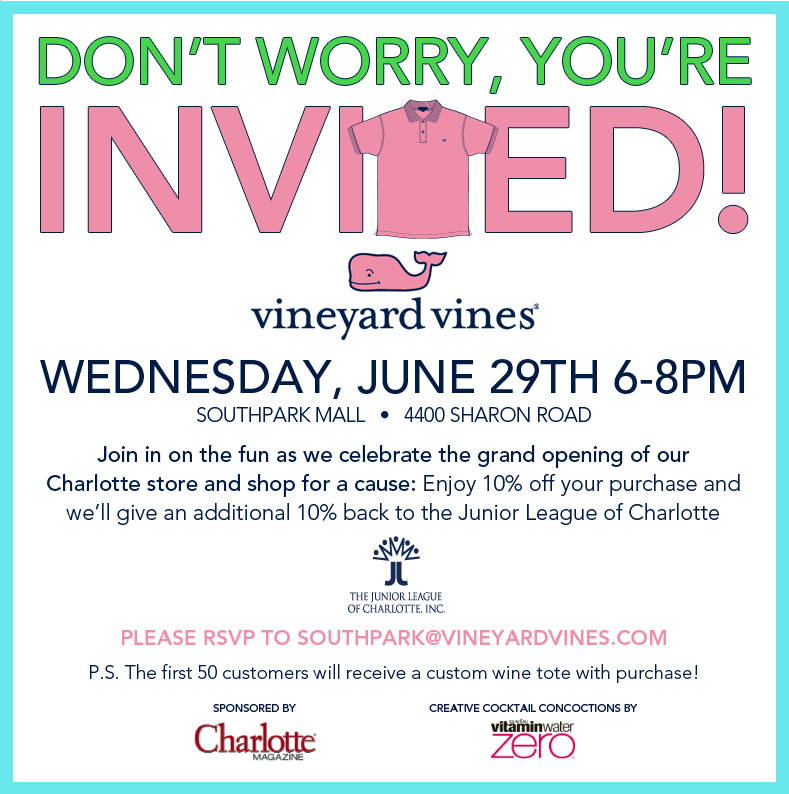 Hello all, can't WAIT to tell you about my fun night celebrating the grand opening of Vineyard Vines at our beloved South Park Mall here in Charlotte! The store had a special reception for bloggers prior to the true grand opening party -- how nice is that? I have a full recap coming for you but unfortunately will have to delay it until tomorrow as I need to head out the door now for an all-day meeting in Raleigh. I know, I know, what a tease! But I promise tomorrow will be a full recap once I have time to divulge all of the great details. So fun! Can't wait to hear about it! you are TOO funny my dear--we got a vineyard vines here in nashville about 6 months ago and it's hard to keep the Mr. out of there!! Sounds incredibly fun!! I can't wait to hear more. I got a sneak peek over at Annies' blog--you looked GORGEOUS at the opening!